In the summer of 1987, my wife Kay and I were vacationing in Germany and Austria. As is always the case, I would check out the local record stores in the various towns that we visited, and in doing so I was surprised to see the large number of Dave Dudley cassettes and CDs that were available for sale – ten or twelve albums, all with songs performed in English and mostly songs about truck drivers. I have always loved the music of Dave Dudley, a mid-level American country music star of the 1960s and early 1970s, best known for his huge 1961 hit “Six Days On The Road.” Dudley had a unique, deep rumbling voice, once described as the sound of “too much coffee and too many cigarettes at truck stops at three in the morning.” In other words, perfect for the songs he sang. I found it interesting that so much of his material was available in Germany and, to a lesser extent, Austria, particularly since all of his classic Mercury recordings were long off the American market, leaving only a few albums of inferior re-makes available for purchase. My inquiries revealed that a German country music band, Truck Stop, had scored a major hit in 1978 with a song titled “Ich möcht’ so gern Dave Dudley hör’n” that had sparked interest in Dave Dudley, an artist of whom no one in Germany had any knowledge. In fact, it launched a career revival for Dudley who performed occasionally in Germany and other parts of Europe for the next decade or so. Born David Darwin Pedruska on May 3, 1928, in Spencer, WI, Dave Dudley was raised in Stevens Point, WI, and like many country artists of earlier generations (Charley Pride, Jim Reeves, Roy Acuff), aspired to a career in major league baseball. He played semi-pro baseball until an arm injury forced an end to his baseball career in 1950. After picking up his guitar, Dudley performed and became a country music disc jockey working at stations in Idaho and the upper midwest. Dudley also formed the Dave Dudley Trio in 1953, and worked dates in the vicinity of his current employment. The band eventually broke up after achieving little success. In 1960, Dudley, by now working in Minneapolis, formed another group, the Country Gentlemen. The group built up a solid local following. In December, 1960 a bad break ultimately turned into good luck when Dudley was struck by a car while loading equipment following a performance in Minneapolis. 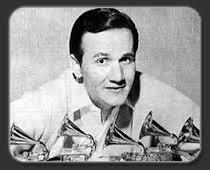 In 1963, he used the insurance proceeds to start his own record label, Golden Wing. Prior to that, beginning in 1955, he had recorded singles for King, Starday, NRC, Vee and Jubilee, and scored some regional successes. Lightning finally struck for Dudley in 1963, when his friend Jimmy C. Newman gave him a song written by Earl Greene and Earl ‘Peanut’ Montgomery (Melba Montgomery’s brother). The song was titled “Six Days On The Road.” While initially skeptical about the song, Dudley issued it on Golden Wing and watched it soar to #2 for two weeks on Billboard’s Country Charts (it also charted on the pop charts). The success of “Six Days on the Road” helped him land a recording contract with Mercury Records, where he released his first single for the label, “Last Day in the Mines,” before the end of 1963. If Tom T. Hall had never had a hit record for himself, he would be still an important figure in the history of country music. “Harper Valley PTA” alone, would have been enough to ensure him at least a footnote in the history of the genre, but long before that song became a world-wide hit, Tom T. Hall was influencing the direction of country music. I first became aware of Tom T. Hall through my father’s collection of Dave Dudley and Jimmie C. Newman albums. All of Dave Dudley’s Mercury albums except Travelin’ With Dave Dudley (a cover album of older country songs) contain at least one song written or co-written by Tom T. Hall and you could put together a “best of ” collection for Dave Dudley comprised of nothing but songs written or co-written by Tom T. Hall. As much as any writer, the songs of Tom T. Hall helped define the sub-genre of truck driving music – and he’s not even particularly known for it! Thomas Hall was born May 25, 1936, in Olive Hill, Kentucky (The “T “ was added later in life to give his name a more distinctive ring). Solid biographical information on Hall is scarce as he has kept his personal life as private as possible. It is known that as a teenager, Hall organized a band called the Kentucky Travelers that performed before movies for a traveling theater. In 1957 Hall entered the Army for a four-year hitch. He was stationed in Germany at the same time as Elvis Presley, and remembers that Elvis would buy hamburgers for the entire platoon on the day before payday. While in Germany he performed on Armed Forces Radio Network. His army experiences served as the inspiration of several of his later songs. After leaving the army in 1961, Hall served as an announcer or disc jockey for several radio stations in Kentucky and West Virginia, as well as performing live and writing songs. Conrad Logan “Con” Hunley (born April 9, 1945) was born in Union County, Tennessee, an area which also produced such country legends as Roy Acuff and Carl Smith. Con was born into a musical family and at age nine his parents bought him a used “Stella” guitar for Christmas. Con soon taught himself to play Chet Atkins thumb-style guitar; however, his biggest early influence was to be found among R&B artists, particularly Ray Charles. Con’s first professional job came in 1964, courtesy of the Eagles Lodge in downtown Knoxville. In 1965 Con joined the United States Air Force in 1965. After basic training, Con was sent to a tech school at Chanute AFB in Illinois where he was taught aircraft hydraulic and pneumatic systems. Con learned so well that he was made an instructor. While there, he played area bars and clubs with a local band. Later Con was transferred to Castle AFB near Atwater, CA, where he found a job playing piano at the Empire Lounge in Atwater. After his tour of duty was finished Hunley returned to Knoxville and began performing weekly at a local nightclub owned by Sam Kirkpatrick, who formed the independent label Prairie Dust Records to showcase Hunley’s talents. After some minor success on the country music charts with three 1977 singles charting in the lower regions outside the top fifty, Hunley caught the attention of Warner Brothers Records (WB), who signed him in 1978. 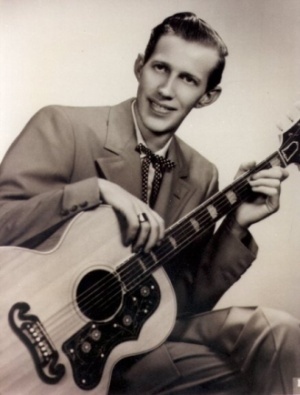 Hunley’s first WB single, a cover of Jimmy C. Newman’s “Cry Cry Darling”, cracked the top forty, reaching #34. From this point forward, Con Hunley had eleven straight singles that reached the Billboard Top Twenty, although none reached the top ten. This singles were all on the border between Country and R&B (this during a time when R&B was actually music). “Weekend Friend” started the parade, reaching #13 in October 1978. This was followed by a cover of the Leon Payne classic “You’ve Still Got A Place In My Heart” which reached #14 . This was followed “I’ve Been Waiting For You All Of My Life” which also reached #14 (although according to Cashbox the record reached #10 and was Con’s biggest hit – this squares with my recollections of the record and its airplay in Central Florida). Paul Anka would have a pop hit with the record two years later in 1981.